For more than a year, we’ve been speculating that Nokia was working on a Windows 8 tablet; we even went so far, last March, as to call it a potentially iPad-destroying device. Them’s fightin’ words. But, as Ubergizmo reported earlier today, Nokia developers have consistently been leaking details over the months and, while we were all still left guessing whether or not the leaks were true — we almost always secretly hope they are — there really has been no way to know for sure. 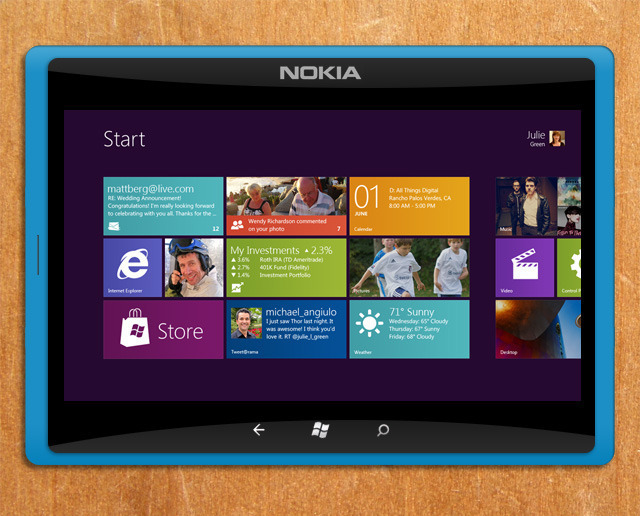 The most recent leak states that one developer claims that he worked on the design for a Windows 8 app for Nokia. Back in December, we wrote about how hopeful we were to see an unveiling of this tablet at the Mobile World Congress, but alas, we had no such luck. All we know, as of now, is that Nokia’s executive VP of design did confirm that he spent the majority of his time working on the development of a tablet. Beside that, the only other real specs that have been repeated time and time again are that it will likely have a 10-inch display that runs on a dual-core Qualcomm processor. Other than that, the oh-so-elusive Nokia Windows 8 tablet is a big ol’ mystery.